Create & order your personal Toxy online right now! Order your Toxy with Pinion drive now! Online now: Toxy web relaunch! Special December offer: One special offer each day! Trimobil configuration tool is online now. 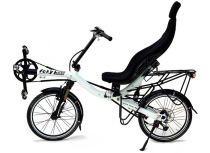 Foldable recumbent wins design award: The Eurobike-Award goes to... Toxy Flite! 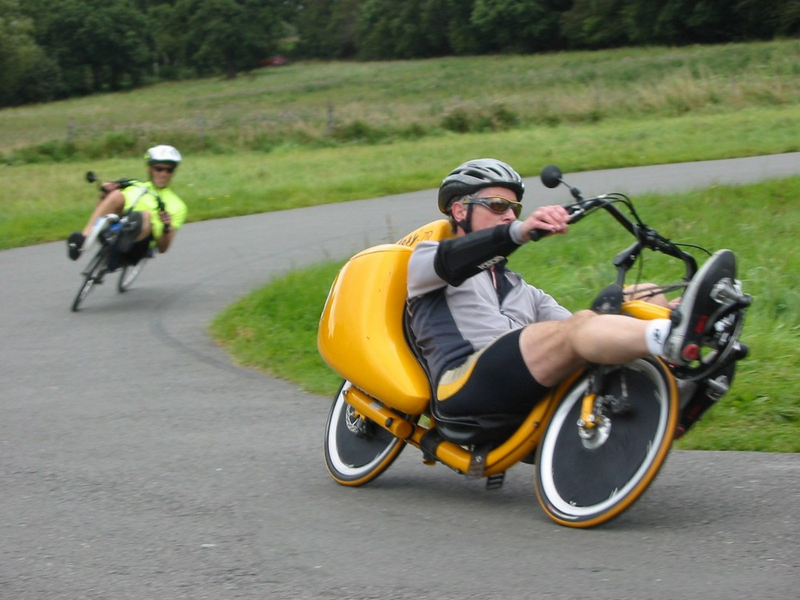 5th Toxy Recumbent Festival - book now! Live at SPEZI show: Test your Toxy-CR! F.M.Z Bremen Bicycle Show. Visit us at 4 E17. 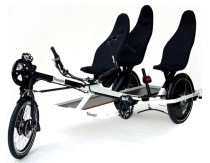 World premiere at EUROBIKE: Recumbent study Toxy-TT lite 12,5 kgs Order now until Oct. 15th! 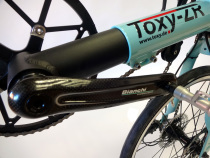 Make commuting smart & comfortable with Toxy SmartE. ...or just a good beer. 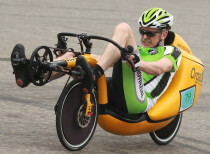 It started in spring of 2009 with the first BionX drives and a tough start, since among recumbent riders, engines were considered more or less inacceptable. 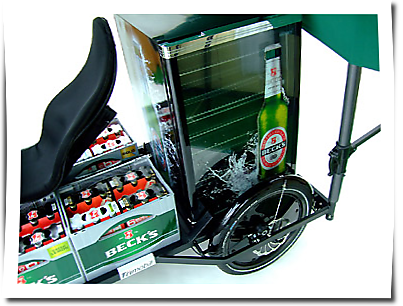 Meanwhile, BionX is history and every year we assemble more and more Toxies with our proven Smart.E drives: perfect for commuting, and, with the new 600Wh batteries also interesting for travelling. 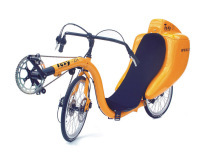 We want to celebrate the date, and at 2019 season opening, we deliver all Toxy Pedelecs with 17Ah battery at regular price of the 10Ah version. We are on company holidays until Jan., 26th. 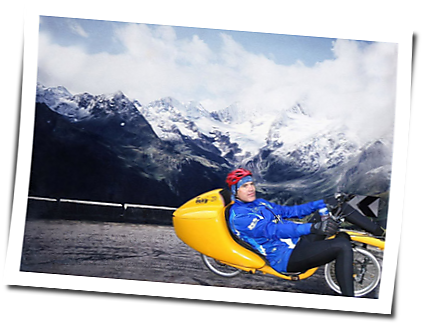 We wish you merry Christmas, all the best for 2019 and some nice recumbent trips around. Just send us your email, configuration & orders and we will reply as soon as we´re back in the office. 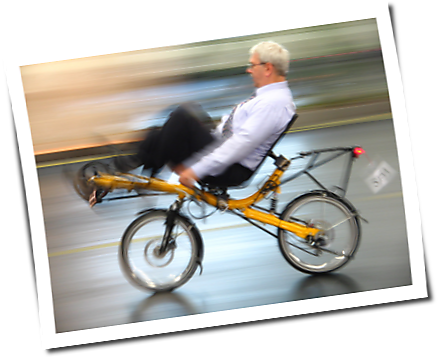 Design your personal Toxy recumbent online now in our freshly updated configuration tool! Many smart 2018 features help to configure & order your Toxy model precisely according to your desires & requirements. 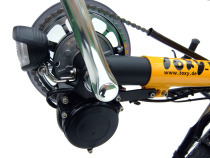 Enjoy creating & riding your Toxy! Has your Toxy already been assembled? 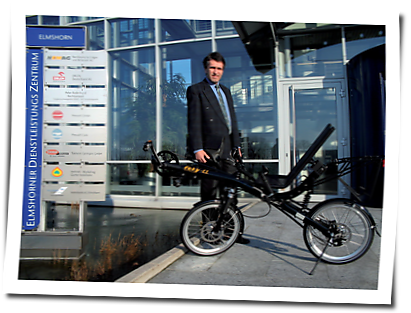 We are really looking forward to Schwalbe innovation 2018: Enjoy the very first 365 tire for recumbent & folding bikes. 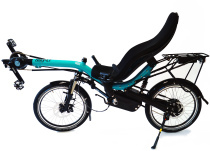 For 20th Toxy anniversary, 2015, we already offer our recumbent classic, Toxy CL as a 20Y special edition at special prices. 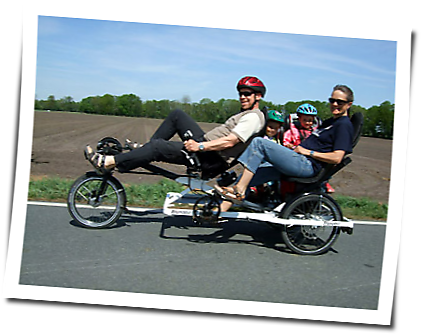 - Configure your personal Toxy-CL according to your wishes & requirements: Whether with Rohloff hub, commuting assembly or as a pedelec, just order your Toxy bike easily online at anniversary offer. 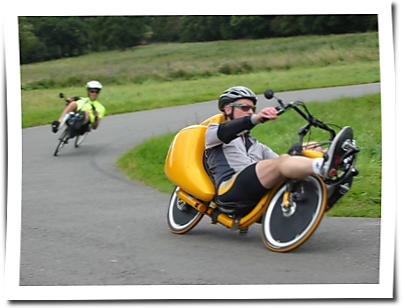 Enjoy full suspension riding comfort and our 20 years of recumbent experience! 9. 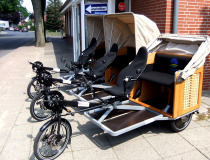 Visit us at a desired date or for a whole relaxing recumbent experience weekend for a detailed consultation with an impressive test ride on one of the nearby cycle paths through the Holsteiner Auenland north of Hamburg. 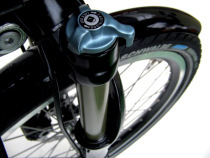 On low-traffic roads, cycle tracks or forest paths, test your favorite model and order it individually according to your personal preferences and wishes.